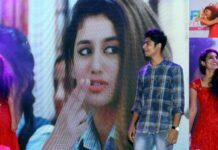 The Malayalam actress Priya Prakash Varrier became an overnight sensation thanks to a short clip from the song Manikya Malaraya Poovi that is part of her debut film, Oru Adaar Love. 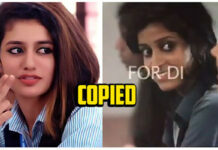 Manikya Malaraya Poovi song is composed by Shaan Rahman and crooned by filmmaker and producer Vineeth Sreenivasan. Priya Prakash Varrier has grabbed all the attention from her cute wink which went viral in no time on the social media. 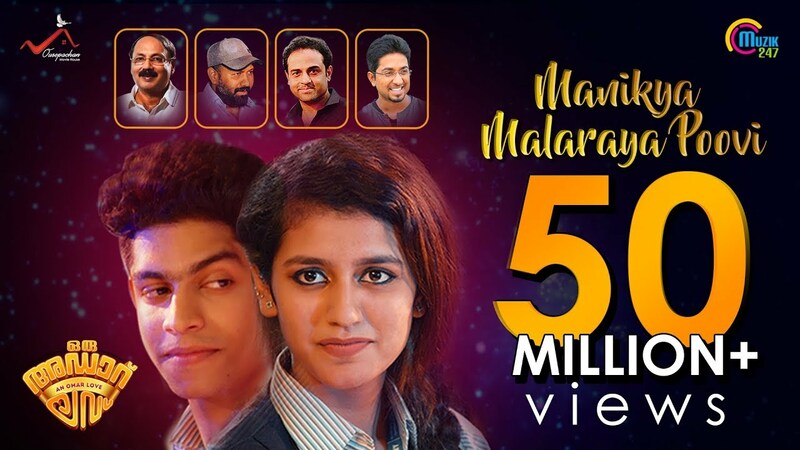 Now Priya Prakash’s Manikya Malaraya Poovi Video Song has become the fastest South Indian video to cross 50 million views on YouTube. 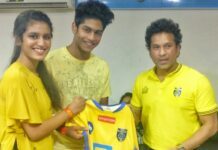 Finally, the 18 years old actress has achieved one more milestone. On this occasion, Priya Prakash Varrier took to Twitter and wrote, “The fastest video from South India to cross 50 million views on YouTube.” According to the latest buzz, she is charging the staggering amount of Rs 8 lakhs for a single post on Instagram. Oru Adaar Love is helmed by Omar Lulu and is expected to release during Eid this year. Prior to Manikya Malaraya Poovi, it was Jimikki Kammal which had become the first-ever Malayalam song to cross 50 million views. However, Jimikki Kammal took more a month and a half to achieve this feat.Recently, Saahore from SS Rajamouli’s Baahubali became the first South Indian song to cross 100 million views on YouTube.